With the patronage of the Italian Minister of Culture. This is the page-event of the visit of this day. The tour is in Italian because the majority of visitors are Italian and led by an archaeologist. Texts translated into English are available for foreign tourists. If you want a private tour led in English or French, please contact us. To have more information about the project Underground Alba, please click here. 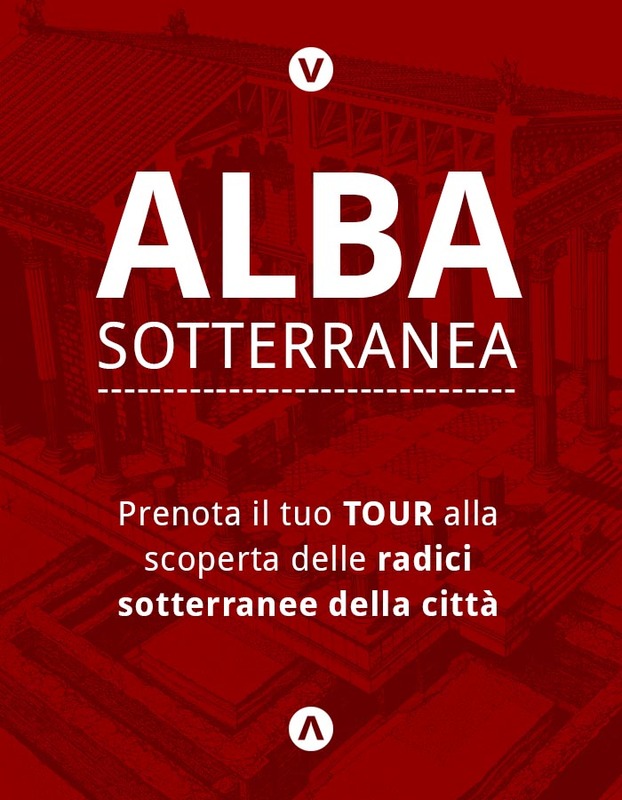 The path starts in front of the Tourist Office, in Risorgimento Square, n. 2, Alba at the scheduled time. See the form at the bottom of this page. The visits are activated from 15:00 to 18:00 once each of them reaches the minimum number of participants (the reservation is mandatory! To book you can use the form at the bottom of the page or send a sms to the phone number +393397349949. For groups with reservation, each day is available: contact us! Please, the participants are supposed to be at the meeting point 15 minutes before. 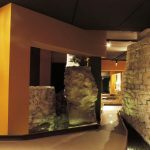 Rates per person include the Federico Eusebio museum entrance tickets with its 21 rooms and the single archaeological sites. The reservation is mandatory and must be done by the day preceding the tour. small groups with 12 custumers at least, accompainers for disabled people, teachers and official tourist guides. under 1o e disabled participants. It is strongly advised to use appropriate footwear. The organziers are not responsible for accidents or loss or damage to private property during the excursion. Booked tours will take place under any wheater conditions. The itinerary will vary according to the day selected. The journey foresees to reach 3 ot the 32 archaeological and monumental sites of the town and it ends in the museum that houses the fossils of the Mastodont of Verduno (ancestor of the current elephant, a fossil partially destroyed by illegal excavations) and the Whale of Alba. 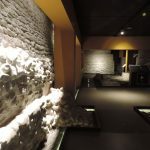 At the end, free visit to the 20 rooms of the the “Eusebio” museum.